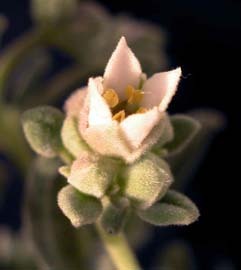 Zieria littoralis is a rare, low growing shrub that grows near the east coast (e.g. Freycinet). 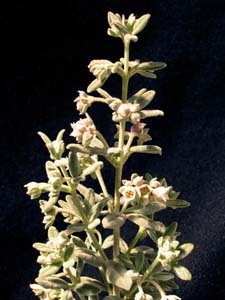 It has distinctive small, grey-blue, glandular, trifoliate leaves.